Print out on card stock, cut out, and play! It is as simple as that. 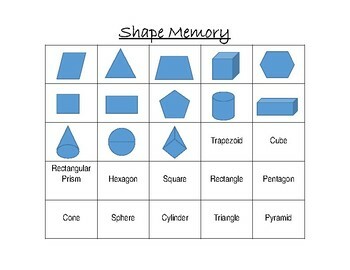 Students will match the shapes to their names in order to get a pair.